Connecticut police have made an arrest in connection with more than three dozen overdose cases at a New Haven park. 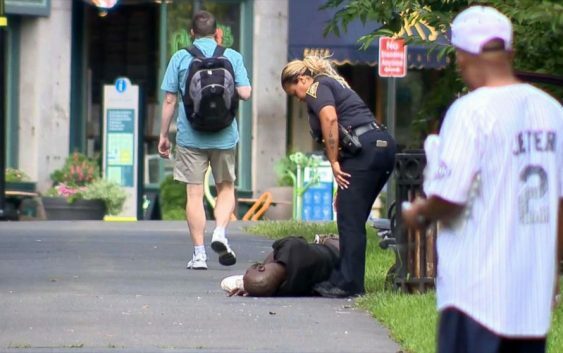 First responders found about 40 people who appeared to have overdosed on the New Haven Green on Wednesday, with 25 of those overdoses occurring within a three-hour span in the morning and some four to six at a time, officials said. A local man believed to be connected to at least “some” of the overdoses was arrested later that afternoon, according to the New Haven Police Department. His identity will not be released until he has been positively identified by a probable victim, police said. 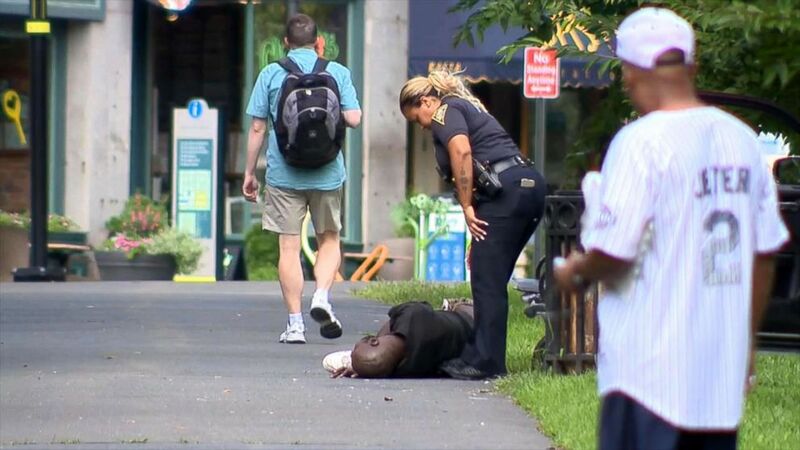 Dozens of people suffering from apparent overdoses were transported to local hospitals from the New Haven Green, according to Rick Fontana, director of the city’s Office of Emergency Operations. The victims appeared to be suffering from a “multiple of signs and symptoms ranging from vomiting, hallucinating, high blood pressure, shallow breathing, semi-conscious and unconscious states, Fontana said. Two people had life-threatening symptoms, he added. The New Haven Police Department is investigating the case. New Haven Fire Chief John Alston Jr. said emergency crews were overwhelmed with “multiple” 911 calls about people who were experiencing overdose symptoms or were passed out on the New Haven Green just after 8 a.m. local time. First responders sprinted across the park from victim to victim as more calls came in. “Even while we were trying to return people to service, they were passing victims on the ground,” Alston told reporters. The victims, who officials said ranged in age and demographic, were at times found in groups of four to six. Their symptoms included vomiting, hallucinating, high blood pressure, shallow breathing, semi-conscious and unconscious states, officials said. Victims were given several doses of naloxone, an antidoe for narcotic overdoses, both on the scene and at the hospital. 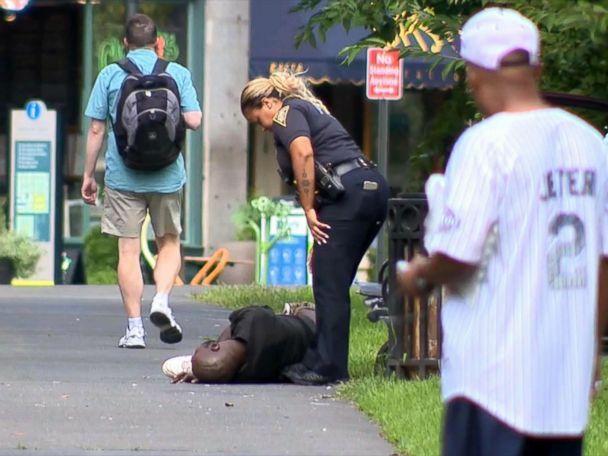 Alston said it’s unclear what was the cause of the overdoses, but officials suspect it may have been synthetic cannabinoids, known as K2, that were likely laced with other substances. ABC News’ Dominick Proto contributed to this report.